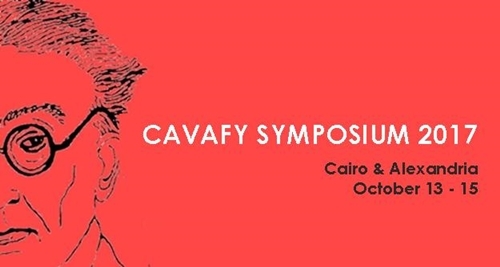 The Hellenic Foundation for Culture, in cooperation with the Greek Chamber of the “Friends of Bibliotheca Alexandrina” and with the support of the Ministries of Culture of Egypt and Greece, the Cairo Opera, and the Greek Culture Center in Cairo, is organizing the 14th Literary Symposium “Cavafy 2017” from October 13 to 15 in Cairo and Alexandria in Egypt. The symposium and parallel events are held under the auspices of the Embassy of Greece in Cairo and the Bibliotheca Alexandrina. In Cairo, the opening ceremony will take place at the Cairo Opera on Friday, October 13, at 18:00, with the awarding of literary prizes to Arab authors by a Committee appointed by the Ministry of Culture of Egypt. “Friends of Bibliotheca Alexandrina” are sponsoring a concert by Stefanos Korkolis, inspired by Cavafy’s poetry, at the Cairo Opera that evening. In Alexandria, the symposium inauguration ceremony will take place on Saturday, April 14, at 17:00, at the Bibliotheca Alexandrina, where there will be an opening of the exhibition “Dramas of authority in historical poems of Cavafy” by Anna Filini. The first session at 17:30 is dedicated to the memory of the historian Kostis Moskof who initiated the Cavafy symposia in Alexandria, while the next symposium session, at 19:30, will consider aspects of Cavafy’s contribution to Greek poetry. 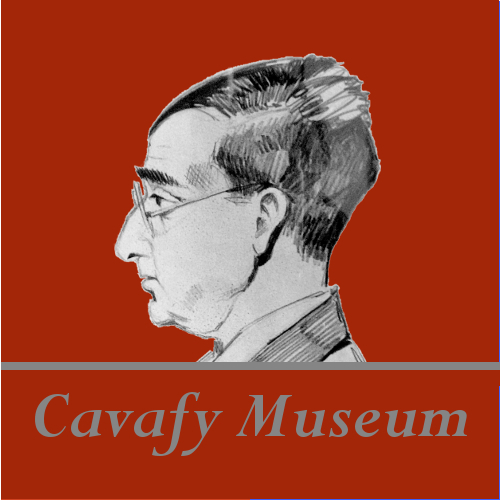 On Sunday, October 15, at 10:00, the symposium will continue at Bibliotheca Alexandrina by highlighting the international reception of Cavafy, in particular in the Arab world, as well as what comes “before” and “after” his poetry, at the next session, while the symposium will conclude with a round table that will consider Cavafy’s poetry in times of crisis. On Sunday evening, “Friends of Bibliotheca Alexandrina,” who will have held their 20th International Meeting during the day, are organizing at the Bibliotheca Alexandrina a presentation of the book “The Poetic Alphabet” by the Romanian Omonia Publishing House, sponsored by Ekaterini Belifanti Sofianou, to be followed by a concert by Stefanos Korkolis, inspired by Cavafy’s poetry. Let it be noted that on Monday, October 16, at 18:30, the volume “The Patriarchate of Alexandria,” sponsored by the National Bank of Greece, will be presented at the ancient Patriarchate of Alexandria and All Africa. An author and reporter, Waheed El Tawila has published well-received novels and short stories and has worked as editor-in-chief of an archive of Arab poets, writers, and intellectuals. References to Egypt, to different historical periods and locations, customs, practices, and words in Cavafy’s work are discussed in this presentation. Samouil Bissaras is an award-winning translator of Cavafy into Arabic who has also translated Stratis Tsirkas. Educated in Greek schools in Cairo, where he was born, and at the University of Cairo, he has also worked as an Arabic interpreter at Cavafy symposia since 1991. Convergences and divergences between Cavafy and the “last Greek poet,” as the scoptic and melancholic Palladas who lived in Alexandria in the 4th century CE has been called, are sought in their poems. An award-winning poet, critic, and translator from classical Greek, Pantelis Boukalas works as a columnist for the newspaper Kathimerini. Real as well as imaginary persons, including Greek and other commentators of his work, are aggregated as “the people” of Cavafy in an effort to highlight the complexity of his poetry and different tendencies that have taken or continue to take shape in reading him. 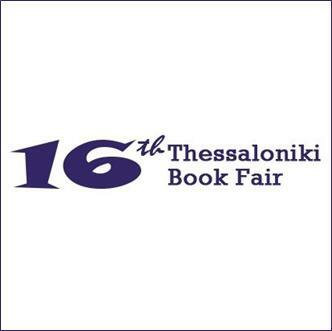 Dimitris Daskalopoulos is a poet, critic, and bibliographer of Seferis, Elytis, Sikelianos, Anagnostakis, and others, who has focused especially on the work of C.P. Cavafy. 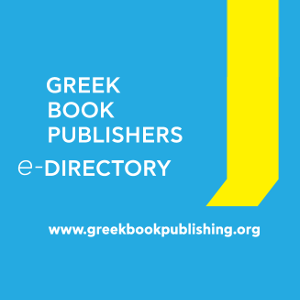 A member of the Hellenic Authors’ Society, he has received honorary doctorates in philology from the Universities of Thessaloniki and Patras. Whether as poetic mythology or historical reality, Alexandria is inescapable in any study of Cavafy. If it is not simply a place of residence or a poetic symbol, i.e., beyond biography or poetry, how can it be comprehended in a reading of Cavafy? A professor at Panteion University, Dimitris Dimiroulis has taught and published very extensively on theoretical and historical issues of literature, criticism, the Greek language, and Greek poetry. He has also undertaken critical editions of works by Roidis, Solomos, Kalvos, and Cavafy. Selected Cavafy poems are intertextually considered in reference to decadent literature and estheticism, as well as late nineteenth century medical texts, where Christianity appears less as a religion of the soul and the spirit and more as a cultural ground where a discourse on pleasures develops. A Lecturer in Modern Greek Philology at the Open University of Cyprus, Vasiliki Dimoula holds a Ph.D. from King’s College, London, and is the author of Human and More than Human: The Problematics of Lyric Poetry Ancient and Modern (2014). Said’s Cavafy is a Greek poet in exile from his language, very much like the Cairo-born Palestinian thinker who raised the experience of exile to autonomy of thought and action. They are united by outside-the-borders literature, which is literature outside the borders, beyond markets, identities, canons. Stathis Gourgouris is Professor at the Institute for Comparative Literature and Society of Columbia University. Translated into Greek, his books include Dream Nation(1996) and Does Literature Think? (2003). He is the author of numerous essays and of four poetry collections. What are we looking for in a city’s past? Though quite different, Thessaloniki: 1700-1912 by Kostis Moskof and Salonica: City of Ghosts by Mark Mazower converge in bringing forth Thessaloniki and its people as an example of the enchantment of multi-ethnic societies in the past. Kostis Karpozilos is a historian and Director of the Archives of Contemporary Social History (ASKI), whose book Red America: Greek immigrants and the Vision of a New World, 1900-1950 was published this year in Greek. Egypt, Egyptians, and the Arab world have a notable presence in certain poems by Cavafy, who apparently knew some Arabic, while he followed current developments through French and English-language papers published in Egypt. This study highlights the poet’s political acumen in a comparative context. Shaker Moussa Ali Moussa is an Assistant Professor of Modern Greek Philology and Comparative Literature at the University of Alazhar in Cairo with a Doctorate from the University of Athens. His book on Representations of Greece and Greeks in Arab literature in the 19th and 20th Century is forthcoming. The presentation focuses on the views expressed by Cavafy on the unity of the Greek language since antiquity. An Associate Professor of Historical Linguistics at the Aristotle University of Thessaloniki, Georgios Papanastasiou is Director of its Institute of Modern Greek Studies and a Member of the Board of the Hellenic Foundation for Culture. 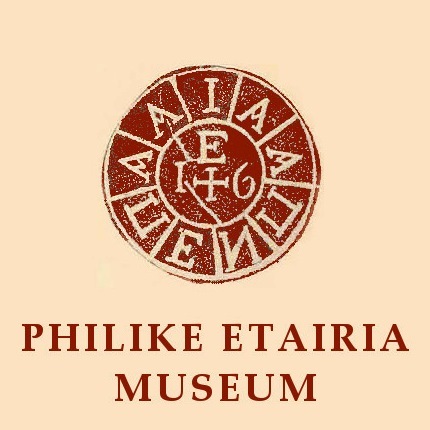 His books include Compléments au Dictionnaire Étymologique du Grec Ancien de Pierre Chantraine and Modern Greek Orthography (in Greek). By linking different chronicities in Cavafy’s poetry to how his poems think about time, Cavafy as a political poet emerges not simply on account of his relation to historical time, conditions and contingencies, but principally through his insistence on their connection with experienced time, its duration, and the complex and irregular tropicities of desire. Dimitris Papanikolaou is Associate Professor in Modern Greek at Oxford University. His work in English includes Singing Poets: Literature and Popular Music in France and Greece (2007), while Greek Weird Wave: A Cinema of Biopolitics is forthcoming in 2018. Painters such as David Hockney and Yannis Tsarouchis set up their own autobiographies through Cavafy, while photographers like Dimitris Geros, Stathis Orphanos, and Duane Michals link themselves indirectly to the poems. Including more recent digital photography by Dimosthenes Gallis or Maria Stephosi, visual interpretations of Cavafy poems take off in different conjunctures and directions. Elected Assistant Professor at the University of Patras and currently Lecturer in Modern Greek Philology at the University of Vienna, Eleni Papargyriou is the author of Reading Games in the Greek Novel (2011), while she was a co-editor of Camera Graeca: Photographs, Narratives, Materialities (2015) and Cavafy Pop: Readings of C.P. Cavafy in Popular Culture that appeared in the Journal of Greek Media and Culture (2015). The presentation considers the interpretive scheme of a “political Cavafy” as especially elaborated by Stratis Tsirkas and G.P. Savidis in the context of the period of the Greek military dictatorship and its collapse after 1974. An Associate Professor of Modern Greek Philology at the University of Ioannina, Ioannis Papatheodorou has authored books and essays on nineteenth and twentieth century Greek literature and on aspects of literary theory and history. He was also a co-editor of a “Tsirkas’s Cavafy” special issue of the periodical Synchrona Themata (2013). The long and arduous search, for the first time in Arabic, of the locations, times, as well as languages involved in Cavafy poems is presented. A 1993 recipient of the International Cavafy Prize for Poetry, Refaat Sallam is a poet whose work has been translated into many languages, including Bulgarian, Croatian, French, Greek, and Italian. A co-founder of the literary magazines Ida‘ah (Lighting) και Kitabat (Writings), he has translated into Arabic major works of Pushkin, Lermontov, Mayakovski, Rimbaud, and Whitman, in addition to Cavafy. Stavroula Spanoudi is Director of the Hellenic Foundation of Culture Annex of Alexandria. A historian of the long duration, Kostis Moskof was able to bring closer the two shores of the eastern Mediterranean when he moved from his hometown of Thessaloniki to become a representative of Greek culture in Alexandria, where he pioneered the Cavafy symposia. Konstantinos Tsoukalas is Professor emeritus of Sociology at the National & Kapodistrian University of Athens and the author of numerous books. A former president of the National Centre for Social Research, he has taught in Greek, French, American, and Mexican universities. He is President of the Hellenic Foundation for Culture since 2016. From Alexandria to Athens, Aegina, Kerkyra, Evros, and back to Athens; Places, situations, and people, images and comments, moments and time unending; Myths and reality; Absences and poetry; Moving along in a world that has changed, in a changing world. Nikolas Voulelis is a reporter and editor-in-chief of Eﬁmerida ton Syntakton since its first issue in November 2012. He served as Director of News & Information of the Athens News Agency – Macedonian Press Agency from 1995 until his resignation in 2011. He was an international affairs commentator for Sunday Eleftherotypia from 1990 until it closed, while he oversaw the Greek edition of Monde diplomatique in that paper during its early years. Kostas Zouraris is Deputy Minister for Education, Research and Religious Affairs and the author of numerous books in French and Greek. Dimitris J. Kyrtatas, Professor of History at the Department of History, Archaeology and Social Anthropology, University of Thessaly & Member of the Board of the Hellenic Foundation for Culture. Eleni Soukouroglou, President’s Executive Office, Hellenic Foundation for Culture. Marianna Sotiropoulou, MA, Cultural Project Coordinator, Hellenic Foundation for Culture. Stergios Topis, Sc. on Cultural Units Management, educator, writer and researcher, former director of the Hellenic Foundation for Culture’s Annex in Alexandria, Hellenic Foundation for Culture. Stefanos Vallianatos, D., Head, Department of International Relations, Hellenic Foundation for Culture. Stavroula Spanoudi, Acting Director, the Alexandria Annex, Hellenic Foundation for Culture. Khaled Raouf, Ph.D., Translator, Greek Language Teacher, the Alexandria Annex, Hellenic Foundation for Culture. Christos Papadopoulos, Sc. on Creative Writing, educator, writer & Director of the Hellenic Cultural Centre of Cairo. President: Constantinos Tsoukalas, Professor Emeritus of Sociology at the Faculty of Political Science and Public Administration, National and Kapodistrian University of Athens. Vice president: Elias Nikolakopoulos, Professor Emeritus of Political Science at the Faculty of Political Science and Public Administration, National and Kapodistrian University of Athens.